In life and in interior design it’s the little things that make a big difference. Just like having a cup of tea or coffee made for you by a loved one on a busy day, in the home - a small home accessory, like a quirky door hook or drawer knob, can make all the difference. 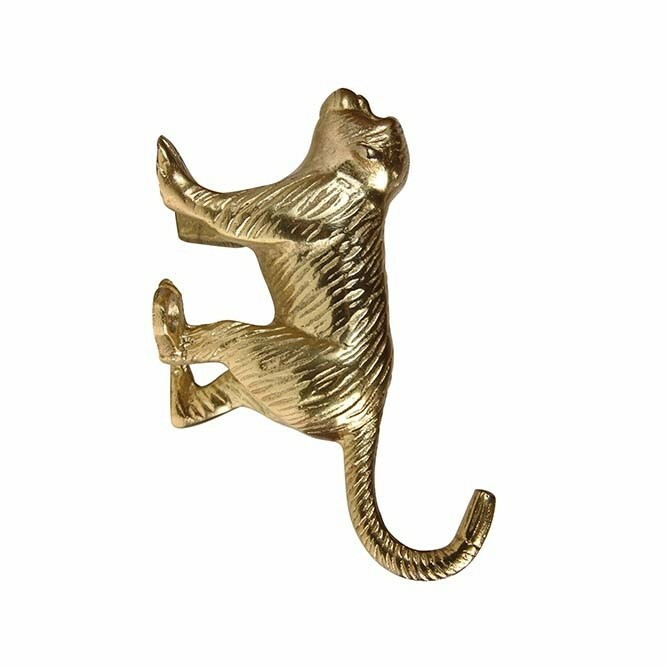 Etched in a beautiful gold, the animal motif Gold Roaming Monkey Wall Hook is an organisational piece that will add that extra wow-factor to the home! Gone are the days that you have to opt for ugly storage hooks and space saving pieces. Instead you can treat yourself to beautiful storage hooks like this Gold Roaming Monkey Wall Hook, which is more like art than a clothes hook. 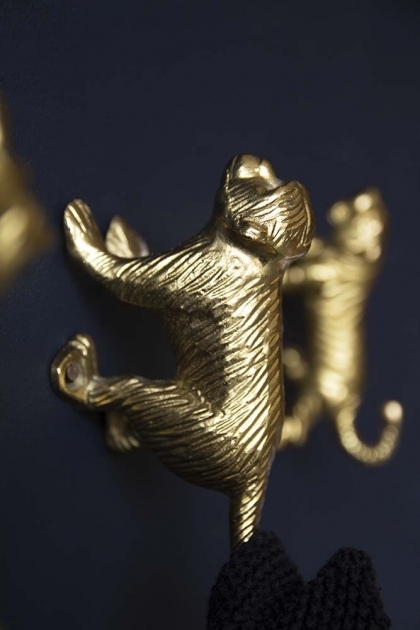 Hang clothing on the Gold Roaming Monkey Wall Hook or standalone – either way it’ll look fabulous! A fabulous gift idea the Gold Roaming Monkey Wall Hook is also available as a Stalking Tiger Wall Hook and Prowling Tiger Wall Hook.